Home brewing of beer and wine is nothing new. Anyone can get into this with the right amount of reading, money and time. There are even simple home brewing kits you can buy in Target and Walmart if you are so inclined. But how do you combine the love of beer with a love of tech? Well the guys at Brewie have an answer for you. 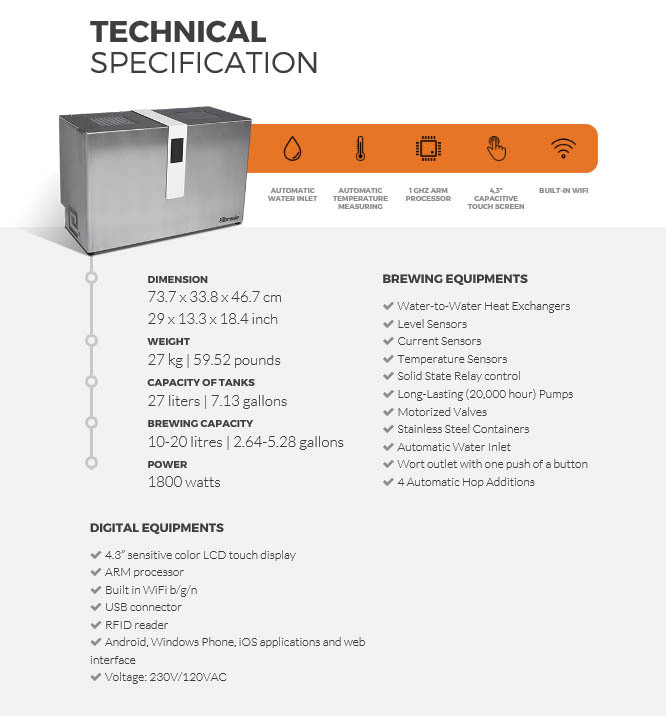 They have developed a fully automated brewing machine that is… you guessed it, also a WiFi connected device. Called the Brewie, it is good for both beginners and experts. You can choose from pre-compiled recipes or, start from scratch and make your own. The Brewie is a relatively small and simple machine that does a fairly complex job. Using a combination of ingredient bags (called BrewiePads) and RFID cards containing the brewing steps and times you can very easily get started on making your own craft beers in the comfort of your own home. Brewie’s community boasts over 200 beer recipes you can choose from. Simply order the BrewiePad for the flavor you want and you are all good. If you are more comfortable with brewing, you can add in your own ingredients and set 23 different parameters to get the flavor you want. To call this a very cool concept is something of an understatement. The guys at Brewie have put a lot of thought and time into their device. You can connect it directly to your home water supply or use your favorite type of bottled water (spring water anyone?). 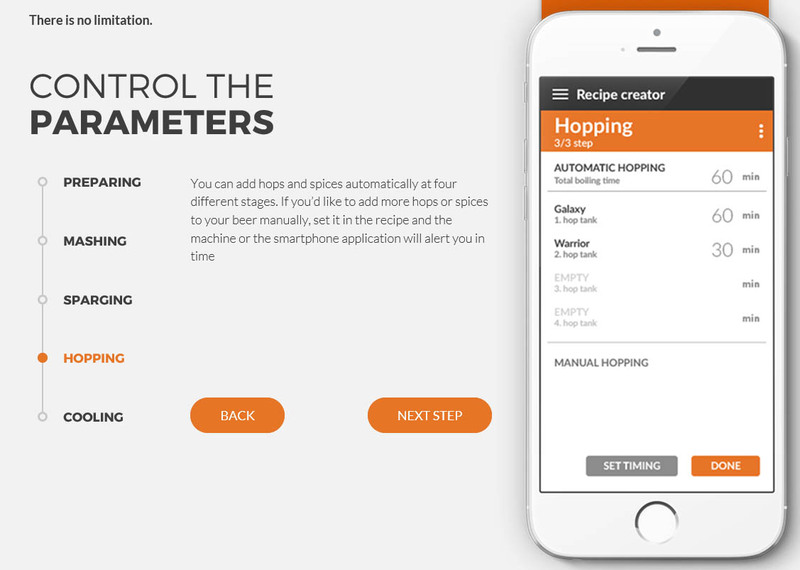 You can also adjust when and how much of each type of ingredient you put in as it is brewing (there are four different stages you can add Hops during a brew). When you are controlling the brew you use an app installed on your phone or tablet to keep things going the way you want them. 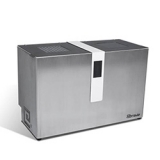 The Brewie is also very efficient, you can brew up to 20 Liters per batch size and up to two different brews per day. Now this does not mean that you will be drinking right away. You still have to let the brew ferment. The Brewie does not do the fermenting for you, but you can choose the type of fermentation that you like best. Typical fermentation times are from 1 week to 5 months.